Our monthly FAFA (Rochester Area Fiber Artists) meeting was yesterday and I brought in a piece I am working on for some suggestions on binding it. In reality, I haven't been making art quilts for that many years and this was the first time that I absolutely wanted no border showing on my piece. I received many helpful suggestions from members including Julie Brandon of Red-Dog Enterprises who had printed the base fabric for me. 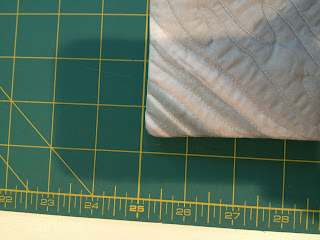 One person suggested that I check out the website Blue Moon River for a tutorial on a mitered facing binding. I recognized the name and checked it out. 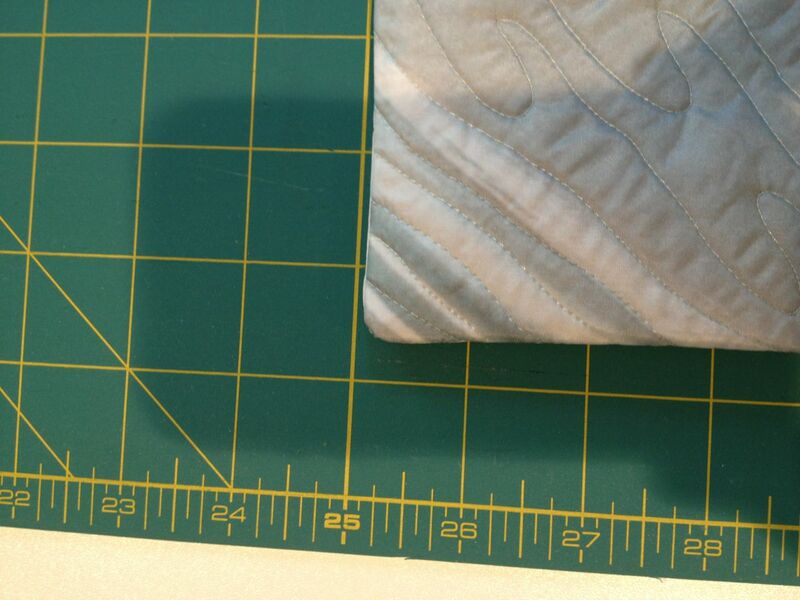 It is the website of Sue Brubaker Knapp, a well known quilter. 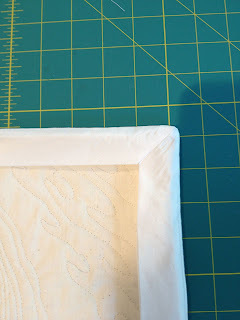 She did have a number of free tutorials including one for facing a quilt with a mitered binding. It was excellent!!! I was able to download a pdf with clear instructions and excellent photographs. 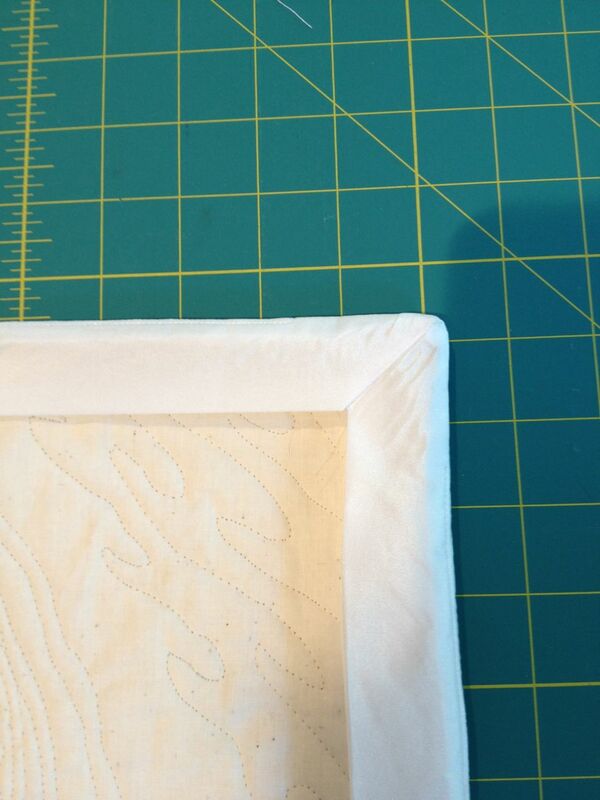 I had already done a number of mitered bindings on quilts but never a mitered facing. I also had never bound a silk piece before. With Sue's instructions, I was able to easily create an excellent finished edge for my art work. I have yet to baste down the back but here are some photos of a finished corner - the true test of mitered facing! You can download Sue's instructions here. She has a number of other free tutorials on the page. Now, on to beading the front of my quilt! When finished, it will be called Ice Flow and will be part of my growing series on Antarctica.